Boris Pilnyak was born in Mozhaisk, Russia, in 1894. He attended school in Nizhny Novgorod and studied in Moscow. While a student he published several short-stories in Russia's literary magazines. During the First World War Pilnyak visited the Eastern Front on behalf of the Provisional Government. He later recalled: "Here in Kolomna we are having hunger riots. I have been put on the list of counter-revolutionaries by our faddish Bolsheviks, and I greeted the new year in prison. I was arrested, and they even posed the question about me: Should we shoot him? Others they did shoot." After the October Revolution Pilnyak was arrested by Bolshevik soldiers and for a time was in danger of being executed. Anatoli Lunacharsky, the People's Commissar of Education, provided Pilnyak with government funds to enable him to write full-time. 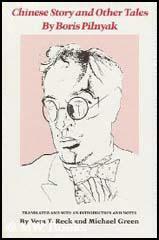 His first novel, The Naked Year (1922), dealt with the October Revolution and the Civil War. His story, The Tale of the Unextinguished Moon (1926), about the suspicious death of Mikhail Frunze, created a storm and the magazine it appeared in was immediately banned. Pilnyak commented: "I am not a communist, and for that reason I do not agree that I should have to write in a communist manner. To the degree that the communists are with Russia, I am with them. I admit that the fate of the communist party is less interesting to me than the fate of Russia. The Communist Party to me is only a link in the history of Russia." Pilnyak upset Joseph Stalin with his novel, Mahogany, that was published in Germany in 1929. The book, which provided a sympathetic portrait of a supporter of Leon Trotsky, was banned in the Soviet Union. The American journalist, Eugene Lyons, wrote in his autobiography, Assignment in Utopia (1937): "The novelist, Boris Pilnyak, was singled out for an organized attack on the literary front. He had been overtaken by the worst disaster that can befall a Soviet writer: he was being praised by the wrong people abroad. Accidentally the manuscript of his story Mahogany had gotten to Berlin and been published there before it was issued in Moscow. It was a too realistic description of the difficulties and desperations of life in a Soviet provincial town, and the Russian emigre press was moved to say nice things about it. No sooner had one Soviet paper given the signal, therefore, than the entire press and the whole writing fraternity converged on Pilnyak in a yelping pack." When Pilnyak was writing The Volga Flows into the Caspian Sea (1931), a novel about the Five Year Plan, Nikolai Yezhov, of the GPU, was given the task of checking his manuscript. Pilnyak told his friend, Victor Serge: "I do believe, Victor, that one day I too will send a bullet into my head. Perhaps it would have been better if I had done that. I cannot emigrate like Zamyatin: I could not live apart from Russia. And I have the feeling that as I come and go, there is a gun in my back, with a pack of blackguards on the trigger." Boris Pilnyak continued to bravely write books that went against the government line of Socialist Realism and in 1937 he disappeared. It is assumed he was arrested by the NKPD and executed. (1) Boris Pilnyak visited the Eastern Front in 1917 on behalf of Alexander Kerensky and the Provisional Government. Here in Kolomna we are having hunger riots. I have been put on the list of counter-revolutionaries by our faddish Bolsheviks, and I greeted the new year in prison. I was arrested, and they even posed the question about me: "Should we shoot him?" Others they did shoot. (2) In 1924 Boris Pilnyak wrote an article explaining why, despite receiving government funds, he could not write Communist Party propaganda. I am against a writer having to live "willingly not seeing," or, simply, lying. And a lie results when some sort of statistical proportion is not observed. I am not a communist, and for that reason I do not agree that I should have to write in a communist manner. To the degree that the communists are with Russia, I am with them. I admit that the fate of the communist party is less interesting to me than the fate of Russia. The Communist Party to me is only a link in the history of Russia. 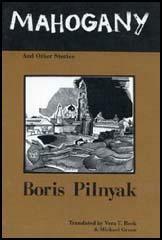 Boris Pilnyak was writing The Volga Flows into the Caspian Sea. On his work-table I saw manuscripts under revision. It had been suggested to him that, to avoid banishment from Soviet literature, he should remodel Forest of the Isles, that 'counter-revolutionary' tale of his, into a novel agreeable to the Central Committee. The body's Cultural Section had assigned him a co-author who, page by page, would ask him to suppress this and add that. The helpmate's name was Yezhov, and a high career awaited him, followed by a violent death: this was the successor to Yagoda as head of the GPU. Pilnyak would twist his great mouth: "He has given me a list of fifty passages to change outright! "Ah!" he would exclaim, "if only I could write freely! What I would I not do! At other times I found him in the throes of depression. "They'll end up by throwing me in jail. Don't you think so?" I gave him new heart by explaining that his fame in Europe and America safeguarded him; I was right, for a while. "There isn't a single thinking adult in this country", he said, "who has not thought that he might be shot." (4) Boris Pilnyak, in conversation with Victor Serge in 1933. I do believe, Victor, that one day I too will send a bullet into my head. Perhaps it would have been better if I had done that. I cannot emigrate like Zamyatin: I could not live apart from Russia. And I have the feeling that as I come and go, there is a gun in my back, with a pack of blackguards on the trigger. The novelist, Boris Pilnyak, was singled out for an organized attack on the literary front. He had been overtaken by the worst disaster that can befall a Soviet writer: he was being praised by the wrong people abroad. Accidentally the manuscript of his story Mahogany had gotten to Berlin and been published there before it was issued in Moscow. It was a too realistic description of the difficulties and desperations of life in a Soviet provincial town, and the Russian emigre press was moved to say nice things about it. No sooner had one Soviet paper given the signal, therefore, than the entire press and the whole writing fraternity converged on Pilnyak in a yelping pack. The politicians of literature, organized in RAPP (Association of Proletarian Writers) led the onslaught. Every writer with an active will to survive was obliged in self-defense to spit at Pilnyak. All but a few did and the conspicuous abstention of the intrepid few marked them as "class enemies." Neither the content nor the quality of the story in question mattered. Few of those who barked angrily had even read it; their synthetic indignation was distinctly second-hand. Ultimately the self-same story, only slightly medicated, was woven into the novel The Volga Flows to the Caspian Sea and was praised by the very critics who now snarled at the author.